Belgian photographer Wouter Deruytter is well-known for his images of people in the masks and costumes of their identity—from drag queens to circus performers and on to cowboys. For three summers the artist photographed small-town rodeos in Montana. Deruytter’s cowboys, however, are not one-dimensional anachronisms. 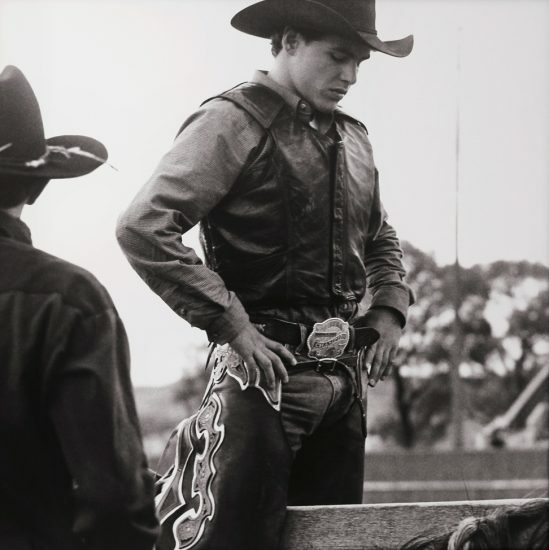 While they carefully document the small-town rodeo, they also exude an undeniable sensuality and youthful elegance the subjects may not even be aware of.